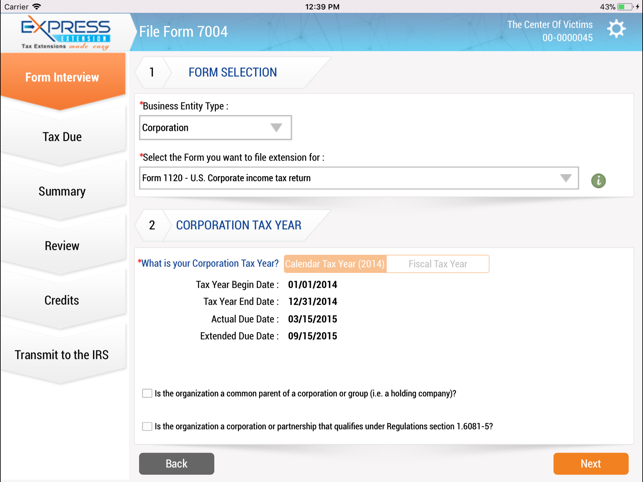 The easiest way to E-File your business tax extension Form 7004 and get an automatic tax extension up to 7 months in just a few minutes with the convenience of the mobile app. 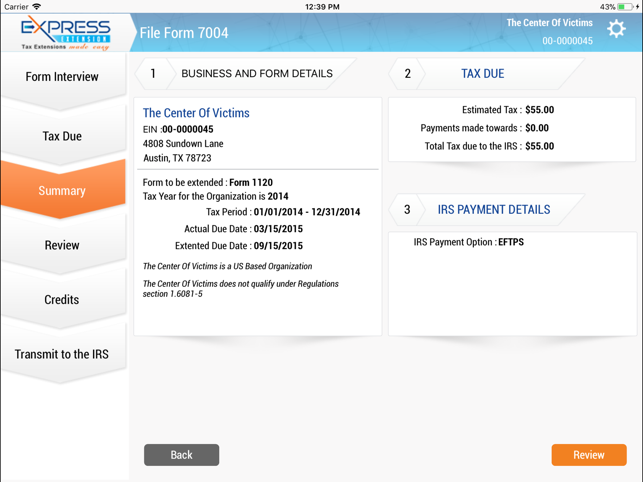 ExpressExtension is an IRS certified electronic filing service provider. 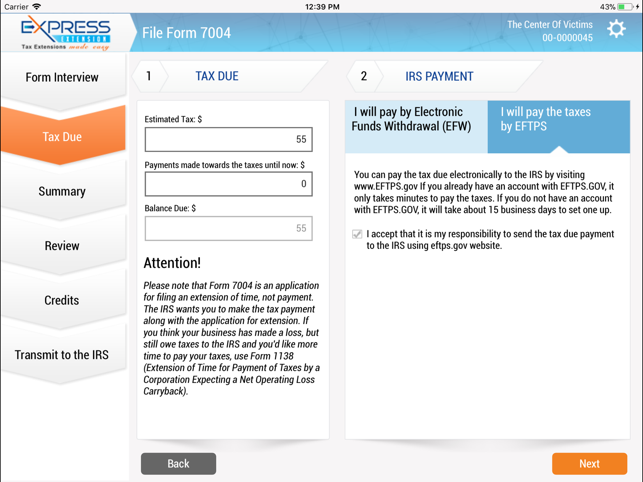 It provides easy to use, quick and secure navigation process to file your IRS tax extension form 7004 (business tax extension). 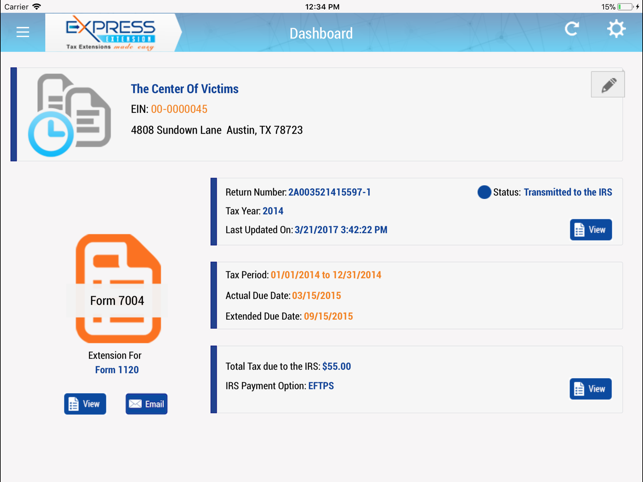 Create your ExpressExtension account and click "Create 7004 Return" on your account Dashboard. You'll need to select a form and estimate the total income tax payment for the filing year. Try to give as accurate an estimation as possible. Once you've got your information and estimation in hand, simply follow the directions, fill out the Form 7004 online, and we'll do the rest. Make sure to type carefully and accurately--no sense in getting rejected over a typo! 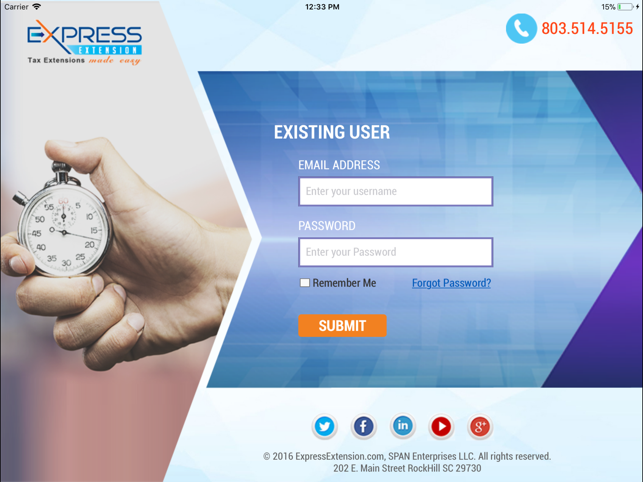 ExpressExtension will send an email confirmation to the filing party as soon as the IRS processes the application. If you have any questions about filing Tax Extensions, you can contact the Express Tax Support Center in Rock Hill, SC at (803) 514-5155 or email support@expressextension.com.